Parkinson’s disease is a progressive degenerative disorder of the central nervous system that affects the motor system of those affected. Nearly 60,000 Americans are diagnosed with Parkinson’s disease each year, with thousands of cases going undetected. Common symptoms of Parkinson’s include tremors, stiffness, and rigidity. This causes patients to have slow movements throughout their lives, decreasing their quality of life. 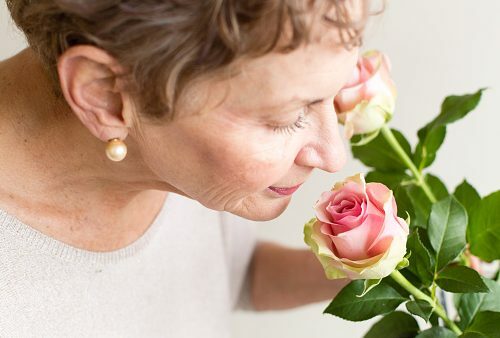 One overlooked symptom that many Parkinson’s patients get is the loss of smell, and new research has finally identified a reason why it develops. While some cases of Parkinson’s disease can be attributed to genetic inheritance or environment factors, the majority of cases have no specific known cause (idiopathic). “A complete loss of smell or a diminished sense of smell often precedes the usual motor symptoms of this neurodegenerative disease by several years and has a prevalence of 90 percent in early-stage patients,” said associate professor Maurice Curtis. The area of the brain that controls our sense of smell is referred as the olfactory bulb, which receives the signals sent from olfactory sensory neurons whenever the noses sense a smell. These neurons are responsible for allowing us to use our sense of smell to detect the world around us. Having a good sense of smell not only allows us to enjoy our food but can also help us avoid danger, such as during a gas leak. Researchers found that the functional units of the olfactory bulb, known as its glomeruli, were reduced by more than half in Parkinson’s patients when compared to those without the disease. Normally, the glomeruli component of the olfactory bulb should be about 70 percent of the structure, however, in Parkinson patients, it was found to only encompass 44 percent of it. This discovery provides additional evidence that Parkinson’s disease may initially begin with bacteria, viruses, or environmental toxins entering the brain, possibly entering through the nose. Once the olfactory bulb has been infected, it would then trigger a gradual spread throughout the brain. micrometer thin sections and staining them with fluorescently labeled antibodies. “The research has required painstaking attention to detail and collaboration on an international scale. The drive within our international team has been significant to see that this work was done to a high standard and that we used the generously gifted human brain tissue to gain the best results possible,” said Associate Professor Curtis. This research marks an advancement in the world of Parkinson’s research, as much of the disease is still unknown. Learning how the body is affected can help researchers retrace itself to possibly find an origin of development, which could lead to a cure.